For the past year or more, I have had the privilege of being one of many authors in the John 3:16 Marketing Network. As a “newbie” to marketing my books I have at times struggled…”floundered” is a better word, in getting the word out there about my books. Then I learned about the John 3:16 Network of authors. From the moment I became a member I have been whole-heartedly encouraged by a great group of Christian authors who share the common goal to reach others for Christ through our books. The thing is for us to reach that goal, people actually need to pick up our books and read them, and that’s where the John 3:16 Marketing Network comes in. It’s authors helping authors through the use of online social networking to help with book launches and promotion. But it goes beyond that. We are offered techniques and tips to help us achieve “Best Seller” status on Amazon.com Achieving “Best Seller” status is not only incredibly encouraging to an author, but it elicits even more public interest in the book. 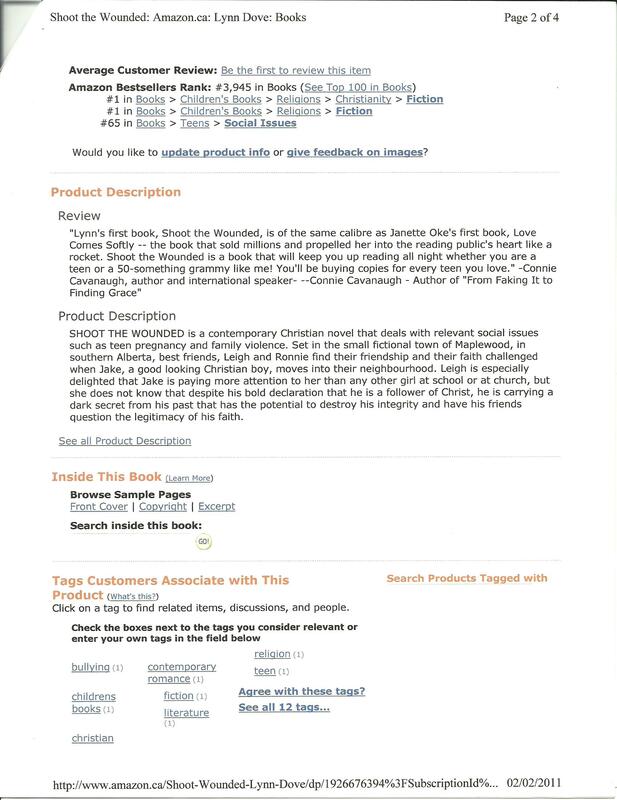 In my case, with the help of the Network, I not only achieved best seller status on Amazon.com with my second book, Heal the Wounded on the day of its launch, but I garnered renewed interest in my debut novel, Shoot the Wounded, so it climbed to #1 on Amazon.ca ! I can’t tell you how excited I was to see that! So for all you aspiring authors out there, I highly recommend that you partner with the John 3:16 Marketing Network. You will be glad you did! “Mommy, it’s UPS,” your daughter hollers from the other room. You are glued to your chair captioning live television. “Can you get it, honey?” you yell back. The front door slams followed by the tearing of cardboard. Your heart thumps faster than it has in a long time. Your fingers sweat on the stenograph machine as you write 260 words per minute. Your body succumbs to a supernova hot flash as you wait…and wait a few more seconds. But you must finish captioning until the next commercial break. Finally, the talking heads stop and you turn around, and there it is—your daughter hands you your labor of love. You forget the late nights working instead of sleeping, the fast food at McDonald’s to save time cooking, and the piled up laundry in the closet. What is it like to hold your book for the first time and flip through the pages? If you are a published author, you know. You feel like you just gave birth—indeed, you have. You send out a flurry of copies to your family, friends, and share your excitement with everyone with whom you come into contact. You learn how to check your rankings on Amazon and discover your book is rated in the top twenty in two subcategories. You wonder when you will get your first royalty check; and how many books have you sold in the first two weeks anyway? A month later,the excitement wanes as you see your rankings plummet, you have run out of people you know who want to buy your book, and you can’t afford to give away any more copies.Now what?The hard work of marketing begins. You must stretch your horizon further than you could possibly imagine. You discover that while writing a book is hard, marketing is even harder. Should you invest the little money you have left to hire a publicist, or pay for a professional email campaign? Should you skimp on the money and just lick lots of stamps for library mailings—or what about the big bucks for radio and TV appearances? You mange to drum up a few public appearances close by and sell quite a few books in the process, but you can’t travel far because you need that day job to pay your bills. If any of this sounds familiar, know you are not alone. Most of us have tried some if not all of these things and probably dozens more. But one day my floundering marketing efforts took me on a different path. I was listening to a one-hour marketing seminar by Steve Harrison with guest speaker Peggy McColl about how to become a best-selling author on Amazon and Barnes & Noble. And my dream was born. I said to myself, “I can do this.” As I was contemplating how to begin, God refined my dream by giving me a vision beyond anything I could have imagined. The more I thought about it, the more I became convinced that God was leading me to try something new—something which had never been done in marketing. Why not have a network of Christian authors to help each other launch books? Why not try to make best-sellers of as many books with a Christian worldview as possible? But dreams don’t happen without a lot of hard work; and to make it a reality, I needed authors who were willing “to give it a go.” I wrote a series of articles and contacted Christian authors on Facebook and other social networking sites. Slowly, I built a base of somewhat skeptical but entrepreneurial-type authors. Two months later, in October of 2010, we went live with the John 3:16 Marketing Network and launched our first book, I’m a Keeper, by Ray Lincoln, to best-seller status in multiple categories. Since that time, I have been blessed to meet on our forum some of the most caring, dynamic, hard-working, educated, and talented authors in the industry. I wanted to share some of their unedited comments and hope that you, too, if you are a Christian author, will catch a glimpse of the potential we have to impact and revolutionize the very underpinnings of internet book marketing. 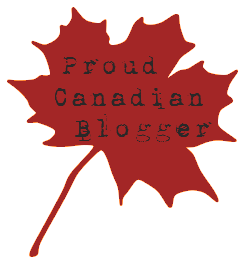 Thanks to Lorilyn and all our fellow writers, this network has grown significantly. I agree with Mary Jo that our Network will affect the future of Christian publishing. I personally am very grateful for all your helpful advice, prayers and just good ‘virtual’ company. Fr Serafim – author, Carnival Although the Network was in its infancy when we did our launch, I am sure that it was a significant part of our success with hitting Bestseller in 5 Amazon.com categories. The people who we are connecting with are becoming friends even though we have never met face-to-face. I firmly believe this group can have a great impact on the Christian book market. The John 3:16 Book Marketing Network has been a God catalyst for so many talented authors here. I have not had the opportunity to enjoy the book launch benefits as mine is already in print (2009) – but I have made some wonderful contacts here and you have blessed me with your unwavering devotion to this group and its success. Your heavenly concept for this network has certainly been a blessing to so many – you are loved much Lorilyn! I didn’t have to face the release day of my first novel alone. As a novice, I feared everything. Would the book be well received? Would it be purchased? Would anyone care? With the John 3:16 network, I knew people cared. They took time out of their day to tweet or post for me–someone they barely knew. They offered gifts in support. Amazing! Because of this generous network, my launch became a day that warmed my heart and reminded me that we serve a God who has a precious plan for us all. John 3:16 means support for myself as a new author. It has also been a tool to testify for Christ. I have a carousel of books from John 3:16 authors on my blog. I change them every 3 or 4 days. I pull up the John 3:16 page and go down the list of authors, searching on amazon.com by author name. Then I put one of their books on the carousel. Anyone who accesses my blog will see a carousel of books by John 3:16 authors. This is a very quick way to show that a group of Christian authors has banned together for the cause of Christ. Having the connection with fellow authors in John 316 gave me the confidence to pursue marketing with more passion, knowing I have the support of such loving friends. But what I value most is Lorilyn’s willingness to go out of her way to help us out. Her constant support as she brings new ideas, offers new outlets, and points to specific marketing paths. Thank you so much, Lorilyn! What John316 has meant to me has been a renewal in my draggin’ career. While I haven’t gotten a new contract, I have made some pretty neat contacts and met some lovely people. I’ve learned a lot about effective marketing at online retailers and feel like I’ve been helpful in encouraging and promoting and using my growing skills with other members of the group. Last year was my first full year after I released my first novel in December 2009. My promotional plan was to sell thousands of books and the only way I knew to do this was to travel and organize events that people would come to and buy my book. After visiting seven cities from February to November, I decided that that was not the best way to promote my novel. I did sell two hundred copies, but the cost to travel left me far behind the profit ratio. I did have a lot of fun meeting different people, but I didn’t reach my objective. At the leading of the Holy Spirit I took the month of December to look back over my year and devise a plan on how I would promote and sell books. The plan I produced was to seek education from those who could teach me how to increase my sales without increasing my travels in 2011. I asked the Holy Spirit to send me a teacher that could mentor me and teach me how to reach my goal for 2011. His answer to my prayer was Lorilyn Roberts and John 3:16 Marketing; but I have received so much more, which is the way that God operates. From the first I have loved the energy in this group. The sense of purpose and the unity that’s manifested here almost daily is life giving. And to be connected to bestselling authors is phenomenal! I’m going to release my second book in a few months and I hope that I can be as successful using Lorilyn’s program as the rest of you have. Right now, I’m a little skeptical that it can work for me and I’m frightened that it might. Sometimes the smell of success gets to me like that. I can keep going but I’ll stop now. I love all of you and I love being a part of this dynamic expression of genuine fellowship and partnership. To God be the glory for sending Lorilyn for such a time as this. Bernard Boulton – author, Do You Wanna be Made Whole? I have been blessed by reading the emails and seeing how helpful everyone is to one another. The John 3:16 Network has been fantastic in so many ways. First, through the expertise and guidance of those ‘in the know’, my book MY MOTHER THE MAN-EATER reached best-seller status on Amazon.ca in the romance contemporary category, and stayed there for three days. This is something I never would have been able to achieve without the network. Secondly, this network is very supportive in more ways than just marketing. When like-minded people of faith gather together, a sense of mutual support and concern builds. I am thankful for that. John 3:16 was truly inspired and I thank Lorilyn Roberts for taking her vision and making it a reality. Writing and marketing our works can be a lonely enterprise, but it doesn’t have to be. The John 3:16 Marketing Network enables me to gather wisdom from many authors who’ve been there and done that. Thus, I save time, money and frustration by crowdsourcing issues rather than depending upon my limited experiences. Solomon advised us that success and victory result from consulting many counselors. This network gives me an easy way to access these counselors. In the lonely world of writing, this network has provided encouragement, information and friendship with writers of many different genres. At a time of great changes in publishing when many are turned away from publication because the bigger companies are “full for the year”, John 3:16 offers a variety of choices for authors to learn about non-traditional venues of seeing their writing in print and available to be read by others. It can give hope when others only discourage. The John 3:16 Marketing Network has helped me a lot with my book launch by giving me a lot of exposure. Even if I didn’t make best-seller status first round, I managed to sell a few books. The John 3:16 Network has taught me a lot about the Kindle market and other technical issues with Amazon. I have come to know other authors’ work and feel really blessed in reading their books. I was also able to get help in finding the right person in regards to the making of the video of my book and finding somebody to help me with my drawing. The interview with Donald Parker was amazing. Most importantly, the encouragement, mutual support, and guidance from everybody has been tremendous. This entry was posted in Proverbs 16:9 - Journey Thoughts, Write On! and tagged Author, Book Launch, Books, Christian Fiction, Christian Non-Fiction, Heal the Wounded, John 3:16 Marketing Network, Lorilyn Roberts, Marketing, Shoot the Wounded. Bookmark the permalink. We have some of the most wonderful Christian authors in the network. I thank God for giving me the vision to make this possible.